WHAT A HOOT! Taz as Santa’s helper, right? Visit our store for many more Christmas sweaters. 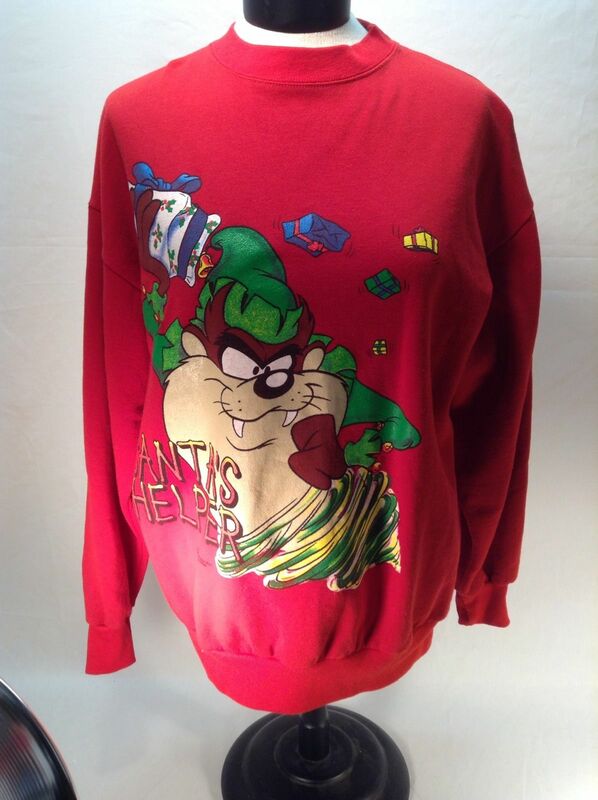 This entry was posted on November 26, 2013 by Robin's General Store in Uncategorized and tagged christmas clothing, christmas sweatshirt, looney tunes, size L, taz, tazmanian devil.